Professor Lloyd Knox joined the faculty at UCD in 2001. His research activities are in the area of cosmology and include development of data analysis methods, analysis and interpretation of data, calculation of observable consequences of models, and motivation of future observations. His research has had a very high impact on the field, as evidenced by the 3,900 citations to his 72 publications. 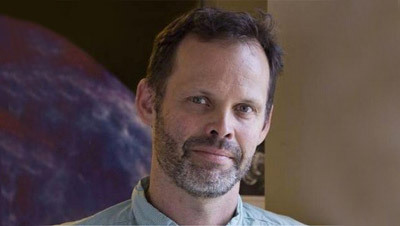 Professor Knox has motivated significant observational projects (including two satellites), brought to his field what are now standard data analysis tools, had the most precise determination of the age of the Universe, contributed to the establishment of the ``Lambda CDM" cosmological paradigm, quantitatively predicted and then detected the clustering properties of the far-infrared background, and advised federal funding agencies how to support research in dark energy via his service on the Dark Energy Task Force. He is currently a member of the Planck collaboration and the South Pole Telescope collaboration. These instruments are each the best of their kind. Planck is arguably the most important ongoing experiment in cosmology today. Professor Knox is responsible for the US contribution to cosmological parameter estimation from Planck data. Interpreting the data from these two projects is currently the main thrust of his research. From these data we can learn about the origin of all structure in the Universe (including ourselves), the history of star formation in the Universe, and the epoch of the reionization of the intergalactic medium - caused by the first stars and quasars.